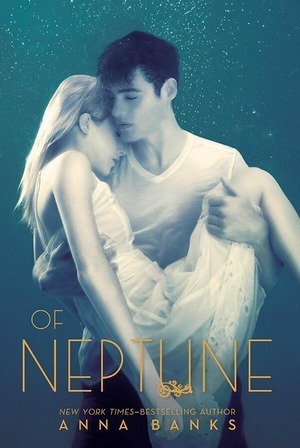 The Syrena trilogy comes to an end with this last installment, Of Neptune. Anna Banks has built this trilogy around a half-human half-Syrena girl, Emma, and Syrena prince, Galen. Each has their world turned upside-down with the revelation of the other’s existence. And each have fallen for the other. Of Neptune, takes Emma and Galen on a trip to the mountains, taken on part to finally be alone together. But they stumble upon a town that once again defies their worldviews. Emma is confronted with the fact that she is a half-breed and that she doesn’t quiet belong anywhere. But could she belong in this small town? Galen must face the fact that Emma will never feel accepted as an ocean-dweller. While his hearts wants Emma to live happily, it also wants her to be with him. He is faced with the question of whether or not Emma wants what he does. The town of Neptune holds two very different outcomes for each Emma and Galen. Both have vastly differing reactions and it seems that Neptune’s fate lies in the hands of them both. But are they capable of changing their worlds once again? Anna Banks has done a spectacular job with raising the stakes in this last installment. She continues to throw roadblocks in Emma and Galen’s happily-ever-after, beginning with the surprise death at the close of the second book. The ripple effect of this incident echoes throughout the novel. Banks has done wonders, shedding light on how each person views death and acceptance, and how each of these affects a relationship. Even one that was supposed to last forever.